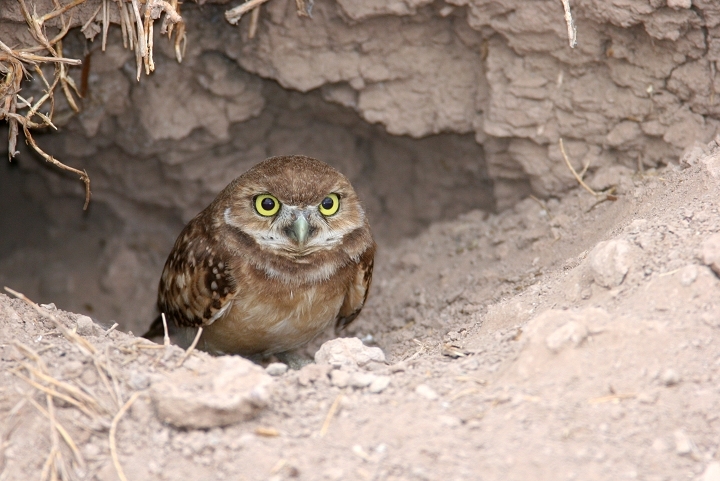 Above and below: Burrowing Owls along the dykes near the Salton Sea (7/26/2006). 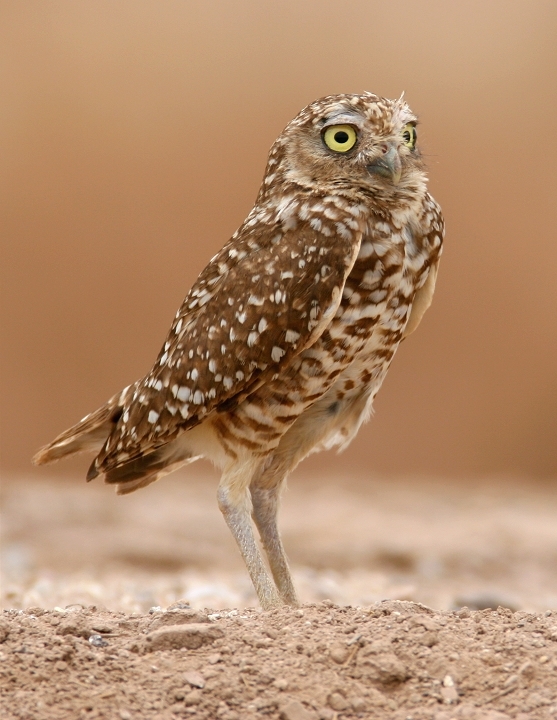 These are several of the more than 45 Burrowing Owls we saw that evening! 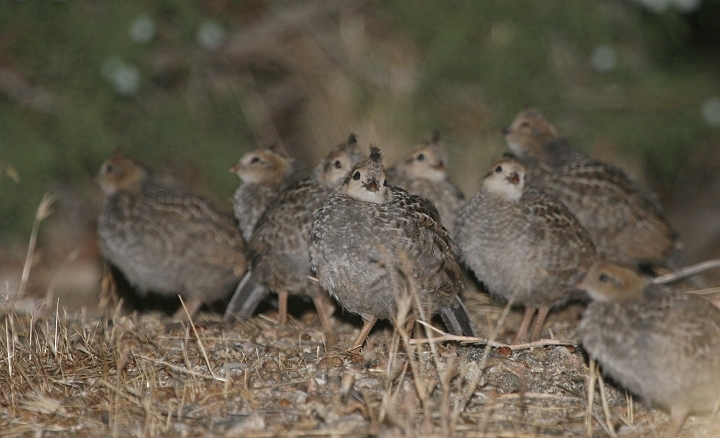 Ages shown range from fledgling to adult. 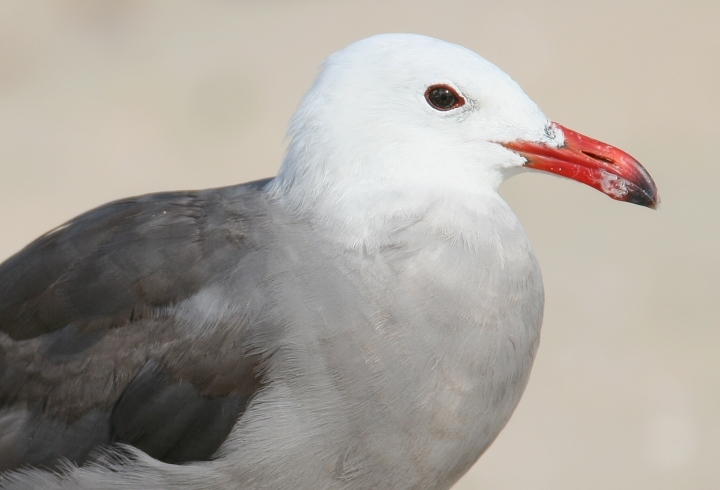 Below: An adult Heerman's Gull (Bolsa Chica on 7/22/2006) and juvenile Heerman's Gull (La Jolla on 7/25/2006), respectively. 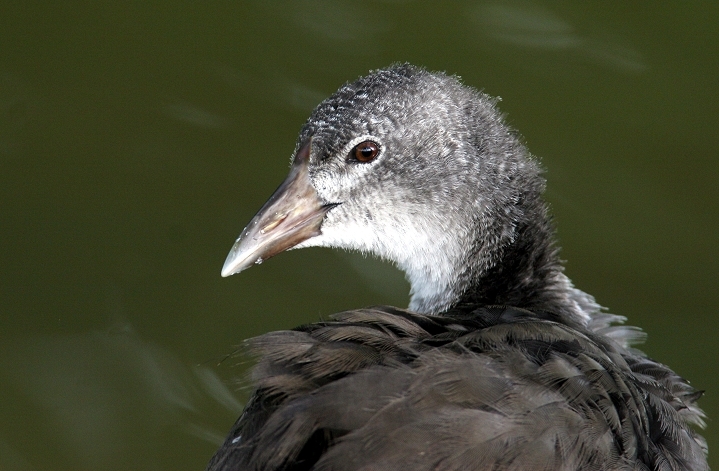 Below: A juvenile American Coot at Huntington Central Park (7/22/2006). 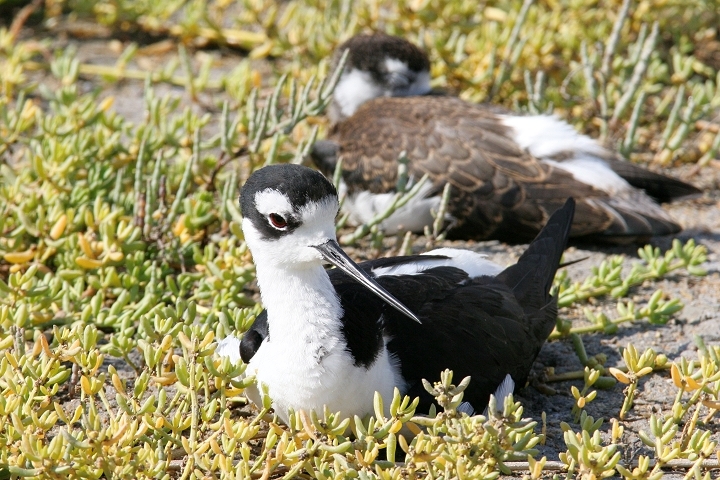 Below: An adult Black-necked Stilt resting near a youngster at Bolsa Chica (7/22/2006). 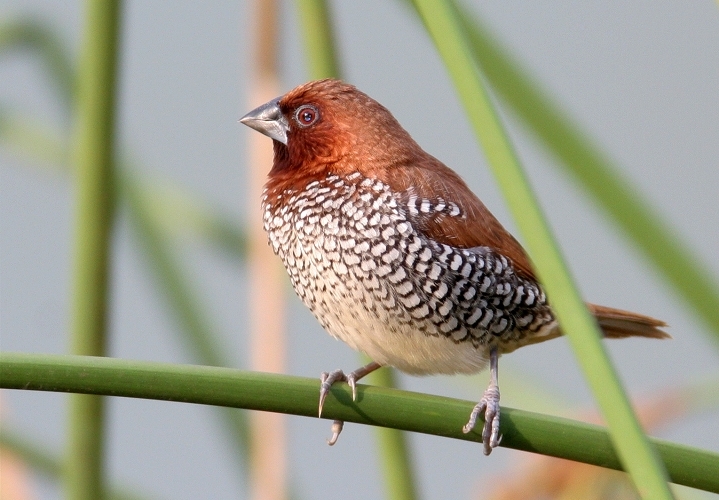 Below: An introduced Nutmeg Mannikin at Huntington Central Park (7/22/2006). 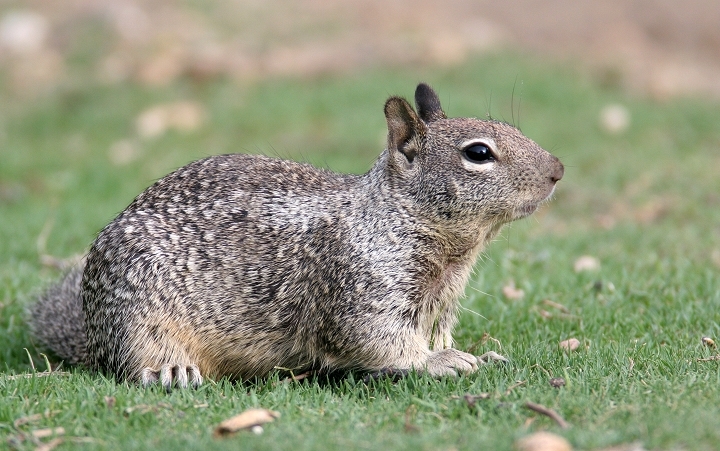 Below: The widespread and common California Ground Squirrel, photographed at Huntington Central Park (7/22/2006). 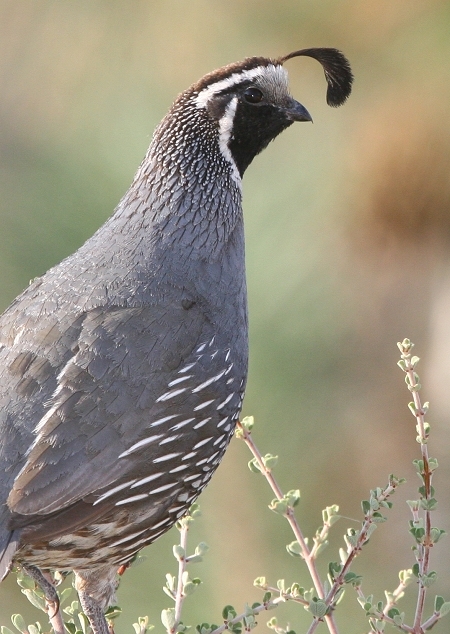 Below four: California Quail in the foothills of southern California (7/24 to 7/27/2006). 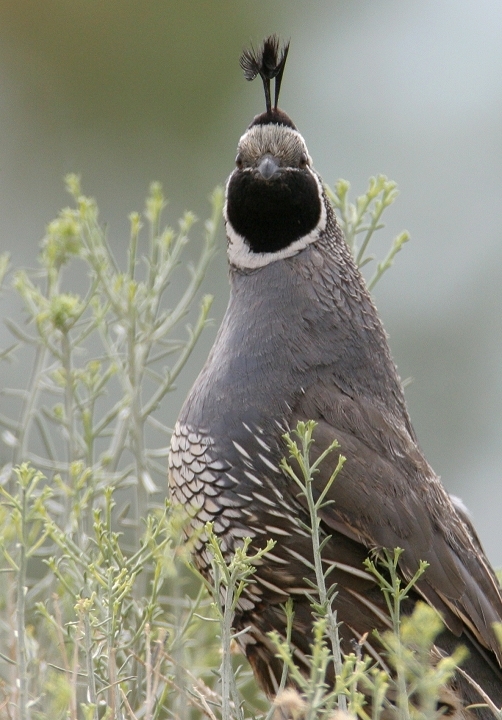 Below: The members of this adorable flock of young California Quail are waiting their turns to fly to their roost in an ash tree. 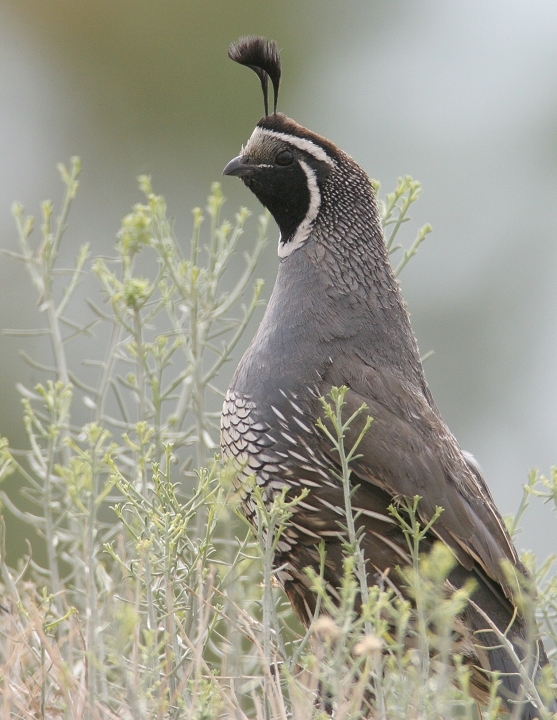 We watched this dusk ritual from 15' away in Piñon Hills (7/24/2006). 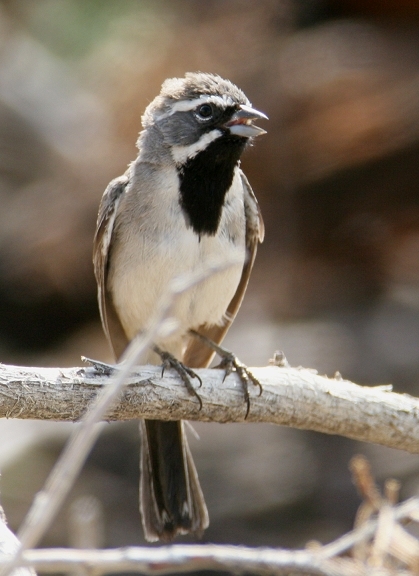 Below: A singing Black-throated Sparrow in Piñon Hills (7/23/2006). 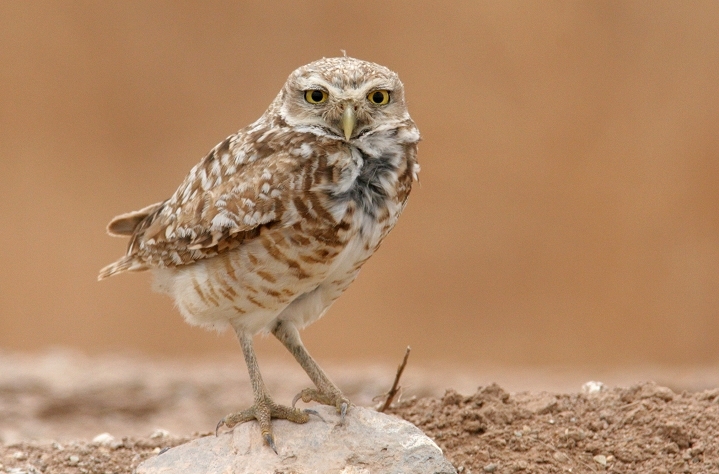 This species was common both in Piñon Hills and around the Salton Sea. 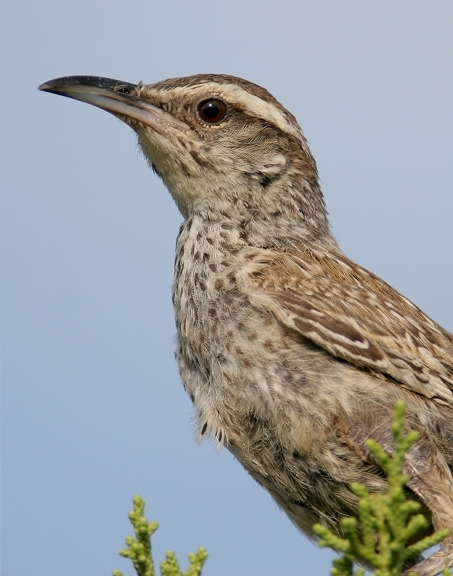 Below: Another common resident of Piñon Hills, the Cactus Wren (7/23/2006). 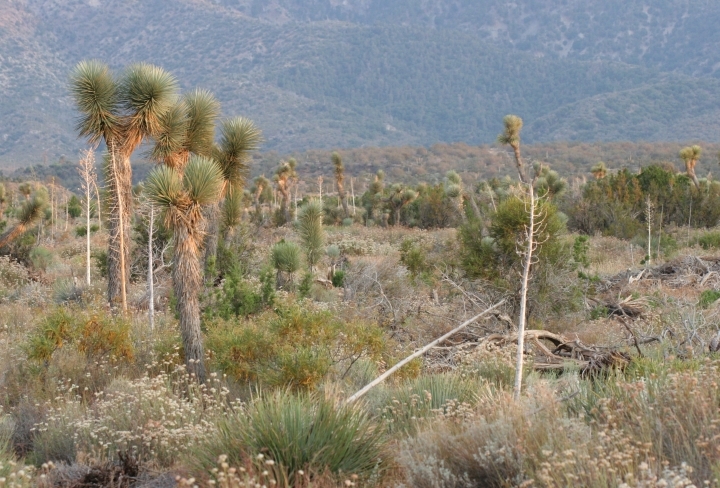 Below: Joshua Trees, Yucca, and buckwheat highlight the lovely scenery in Piñon Hills. 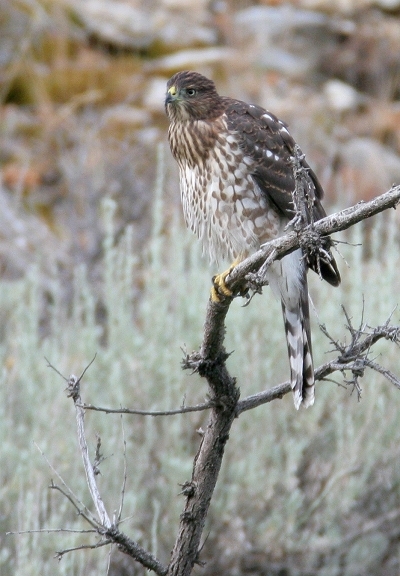 Below: A young Cooper's Hawk hunts a wash in Piñon Hills (7/23/2006). 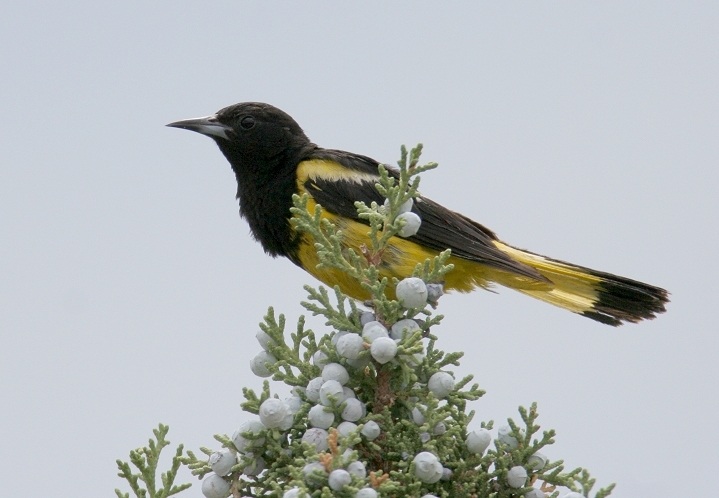 Below: Scott's Orioles are yet another treat found easily in Piñon Hills (7/23/2006). 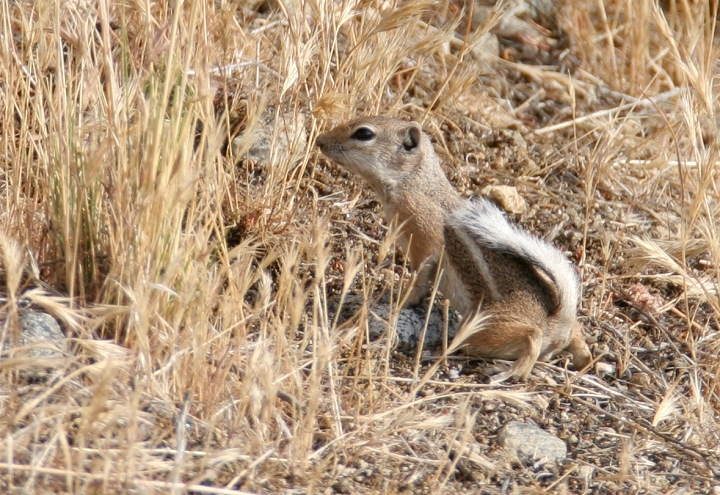 Below: A White-tailed Antelope Squirrel in Piñon Hills (7/23/2006). 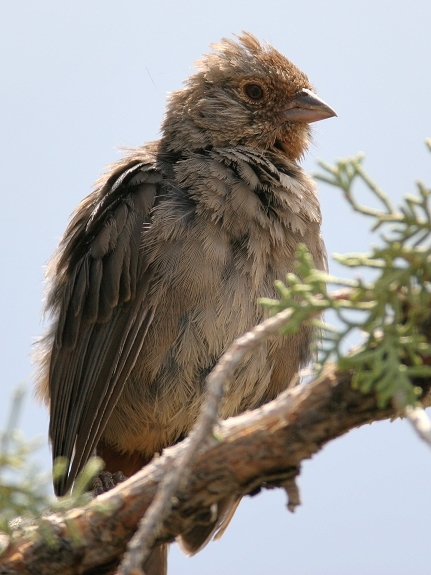 Below: A California Towhee investigates strange pishing noises in Piñon Hills (7/23/2006). 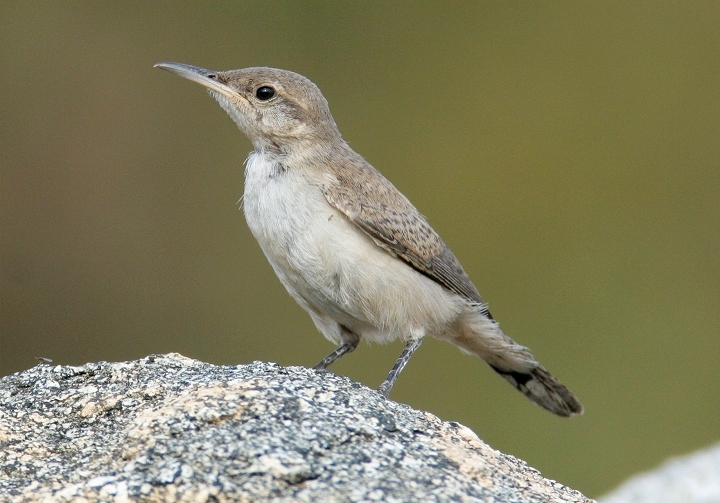 Below: A Rock Wren surveys his domain in Piñon Hills (7/23/2006). 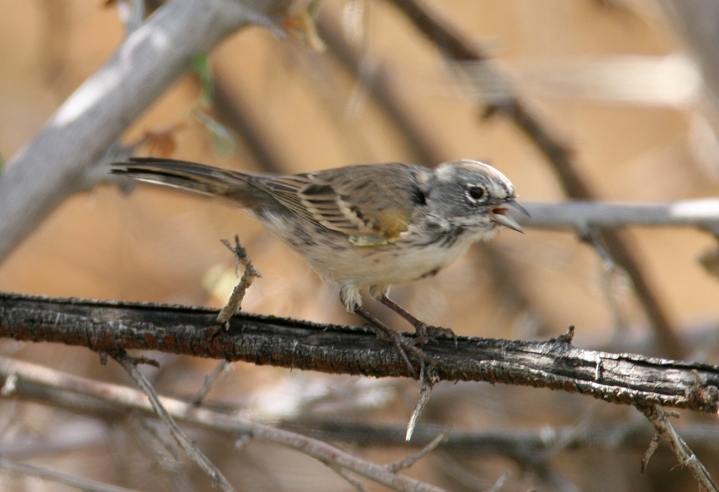 Below: A poor image of a Sage Sparrow in Piñon Hills (7/23/2006). 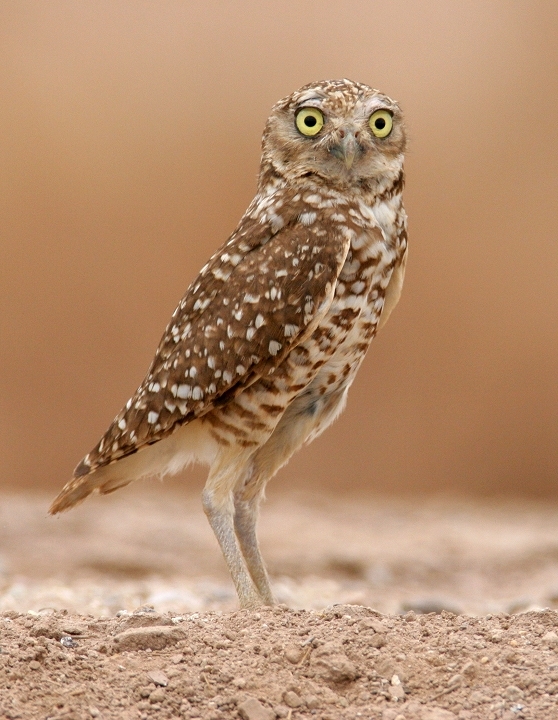 I'm inclined to call this bird nevadensis vice bellii. 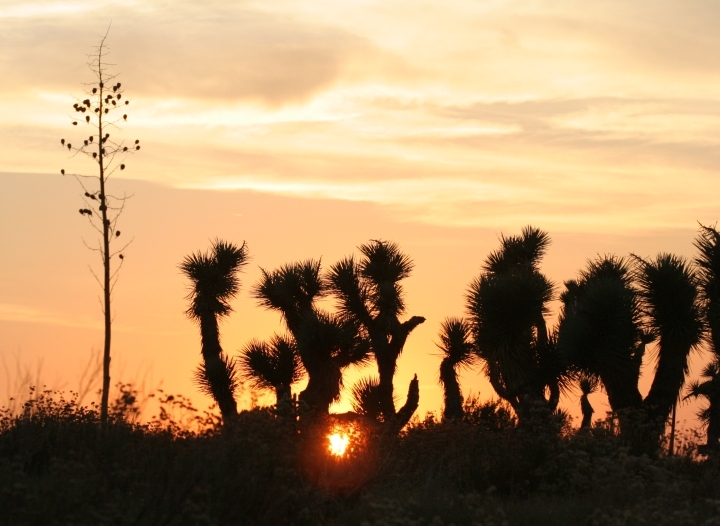 Below: A beautiful desert sunset in Piñon Hills. 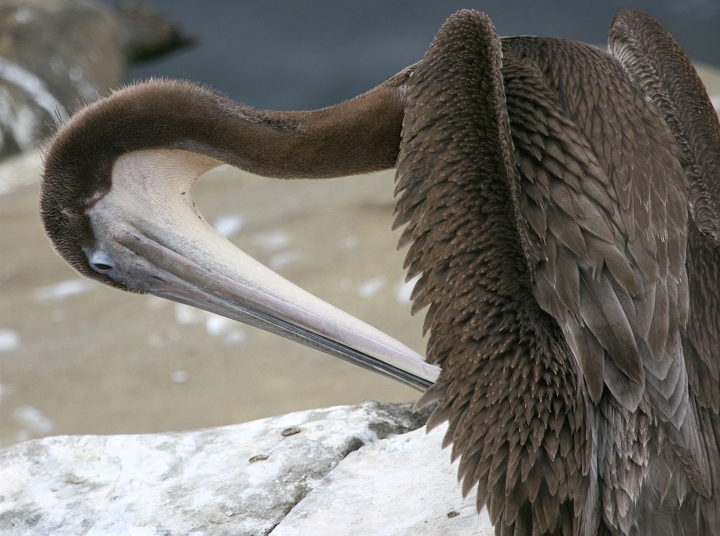 Below: An immature California Brown Pelican preens along the La Jolla coastline (7/25/2006). 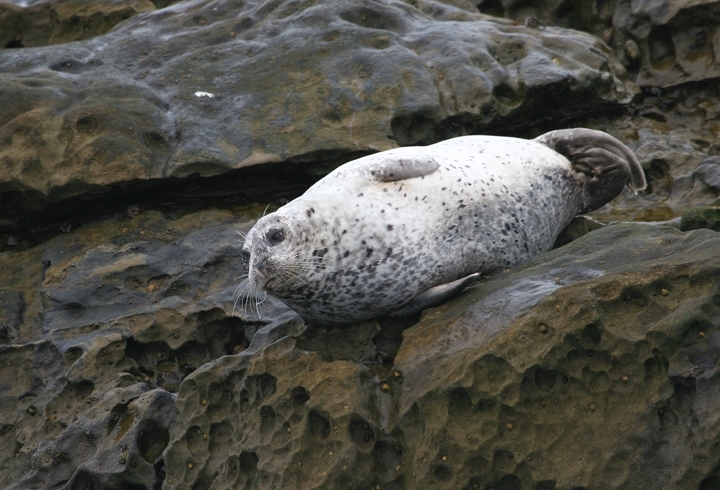 Below: A Harbor Seal struggling through its hard life at La Jolla (7/25/2006). 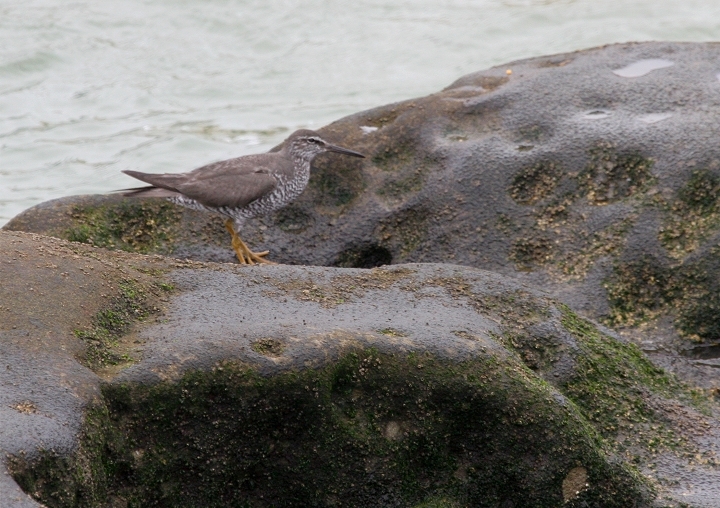 Below: One of several Wandering Tattlers foraging at La Jolla (7/25/2006). 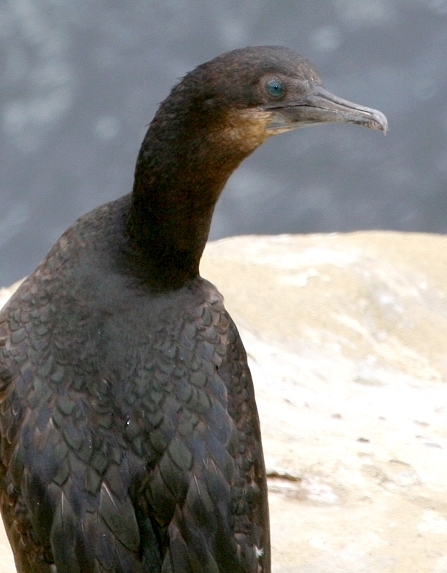 Below: A Brandt's Cormorant among the Double-cresteds at La Jolla (7/25/2006). 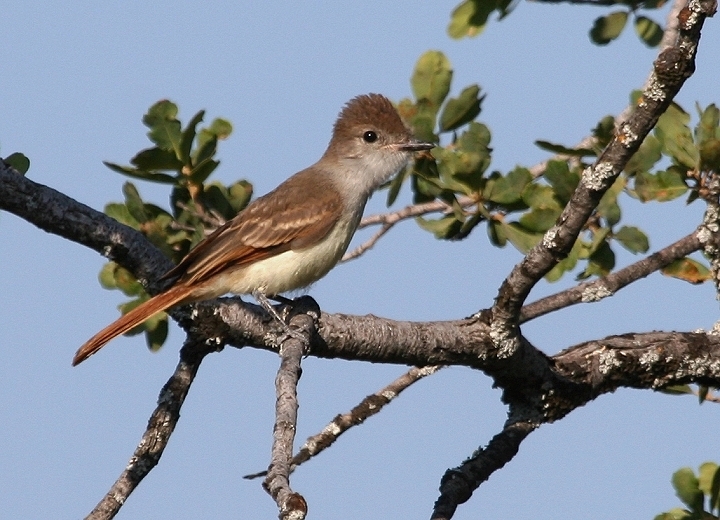 Below: An Ash-throated Flycatcher in the foothills near Santa Barbara (7/27/2006). 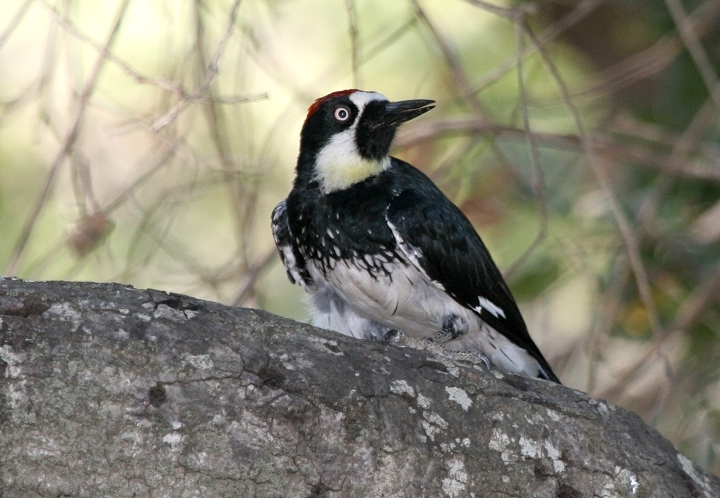 Below: Acorn Woodpeckers were easily found near each oak grove we visited (7/27/2006). 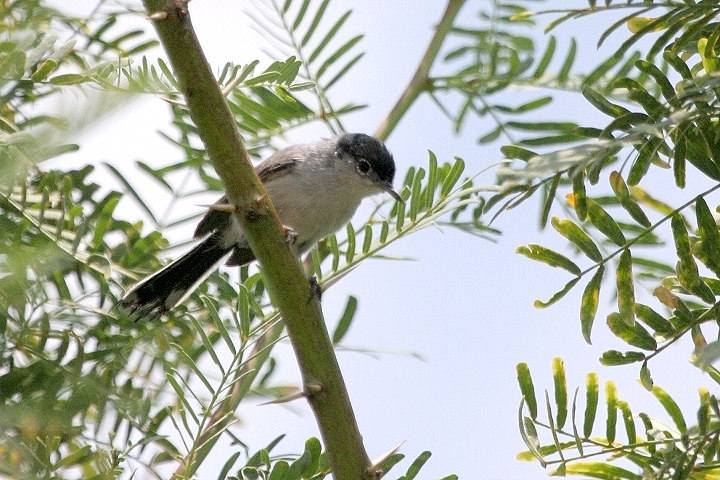 Below: A Black-tailed Gnatcatcher in a small, lush oasis near the Salton Sea (7/26/2006). 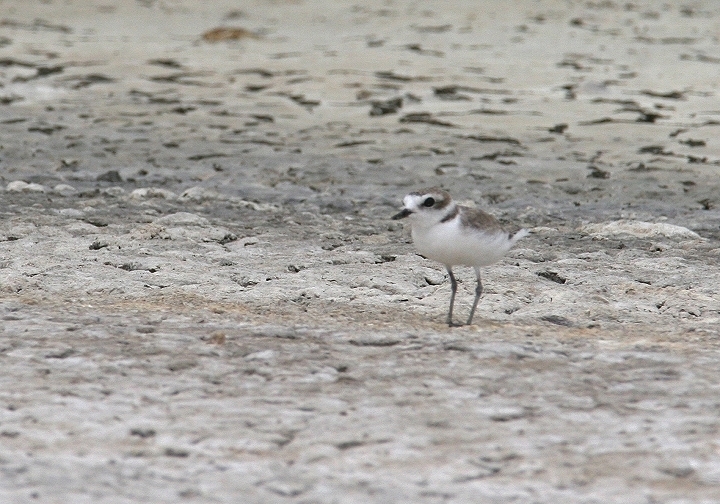 Below: This well-camouflaged Snowy Plover was tricky to spot in the sand along the Salton Sea (7/26/2006). 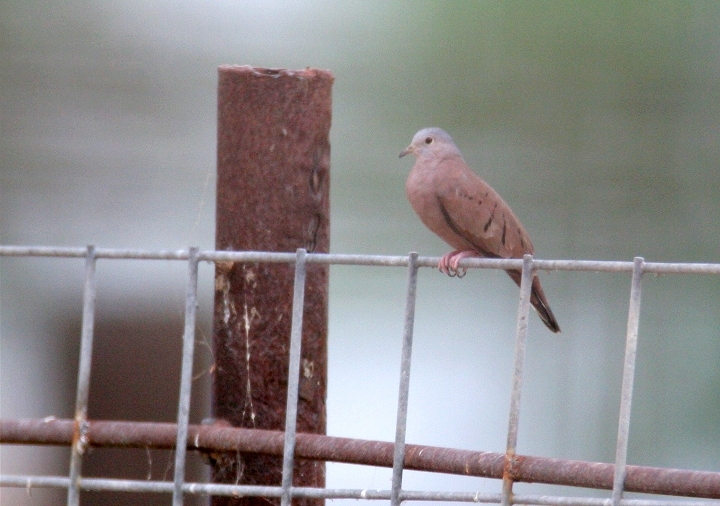 Below: A wonderful rarity: A Ruddy Ground-Dove west of Calipatria near the Salton Sea (7/26/2006). Thanks to Guy McCaskie for posting directions to this location. I'd complain about the light if I weren't so psyched just to have seen it! 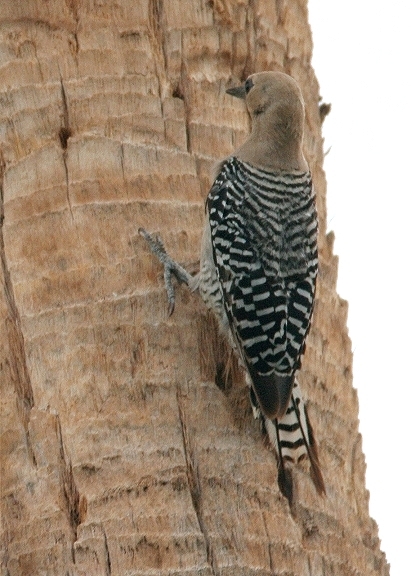 Below: A small population of Gila Woodpeckers resides in the residential neighborhoods of Brawley, south of the Salton Sea. Becky and her dad Dave kindly tolerated a random neighborhood cruise while we ate our carne asada dinner following our exploration of the Salton Sea. 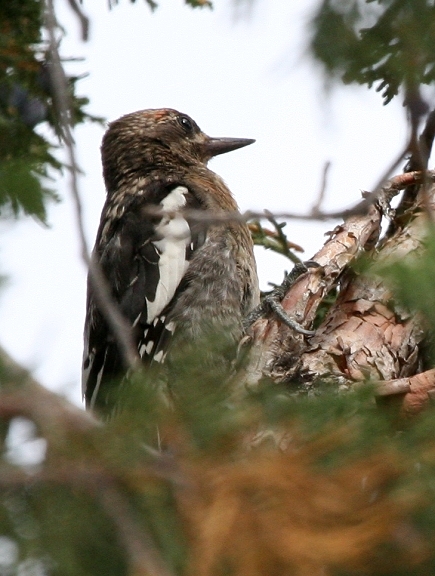 It took just minutes to hear a Red-bellied-like call and spot a pair of Gila Woodpeckers. 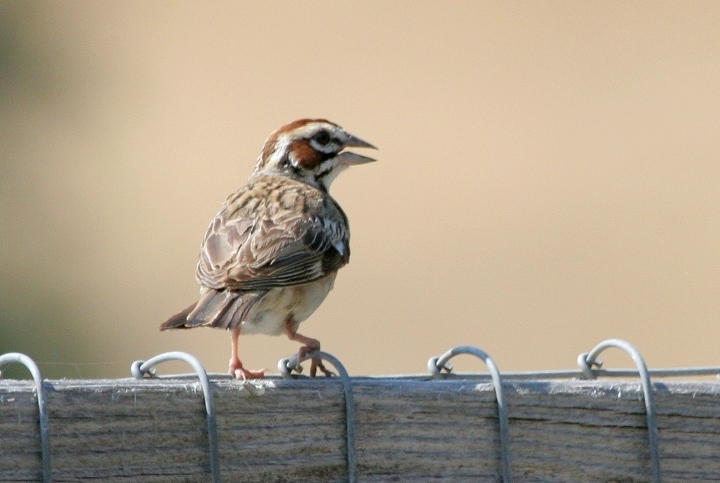 Below: Lark Sparrows were common in the foothills near Santa Barbara (7/27/2006). 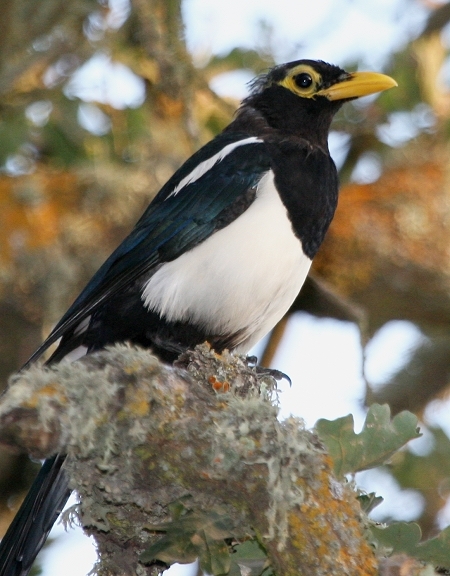 Below two: Yellow-billed Magpies in the lowlands north of Santa Barbara (7/27/2006). 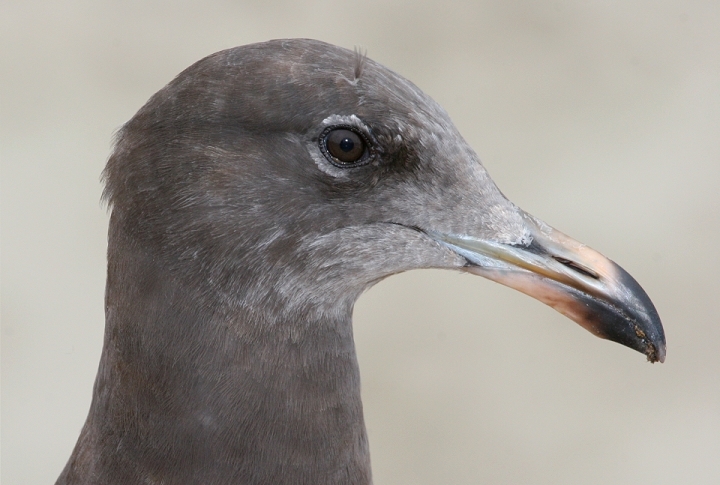 This species is endemic to California. 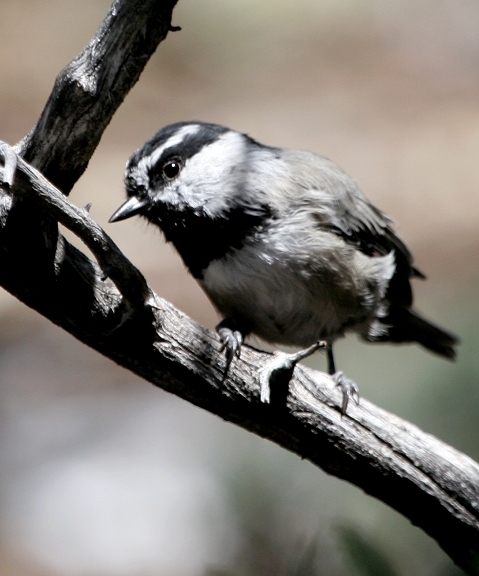 Below: Mountain Chickadees were abundant around Big Bear Lake (7/29/2006). 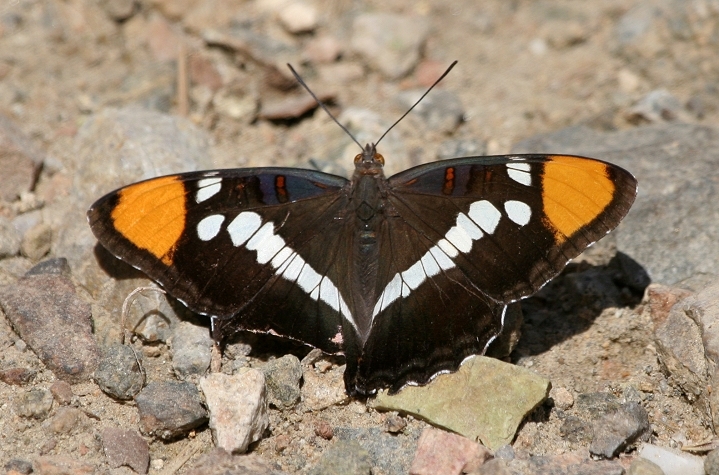 Below: The beautiful California Sister was fairly common around Big Bear Lake (7/29/2006). 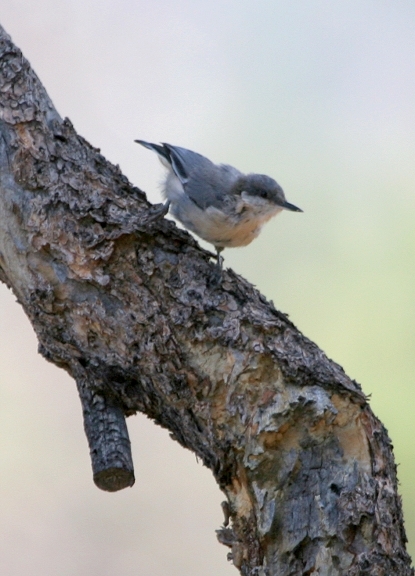 Below: A Pygmy Nuthatch in the mountains near Big Bear (7/29/2006). 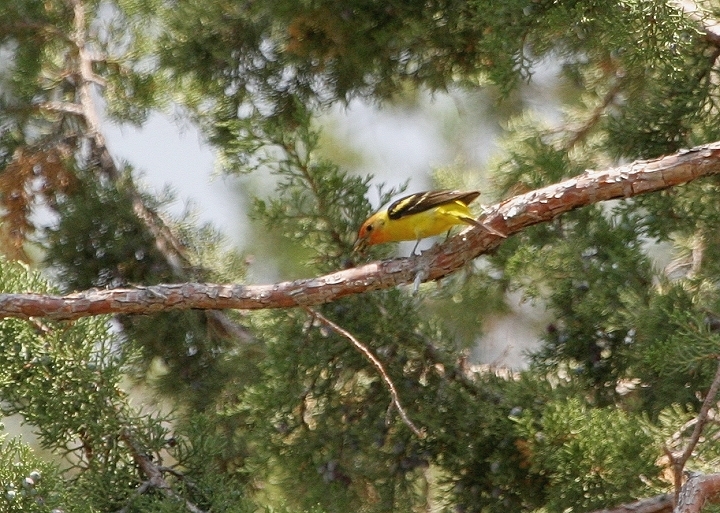 Below: A distant-but-beautiful male Western Tanager near Big Bear (7/29/2006). 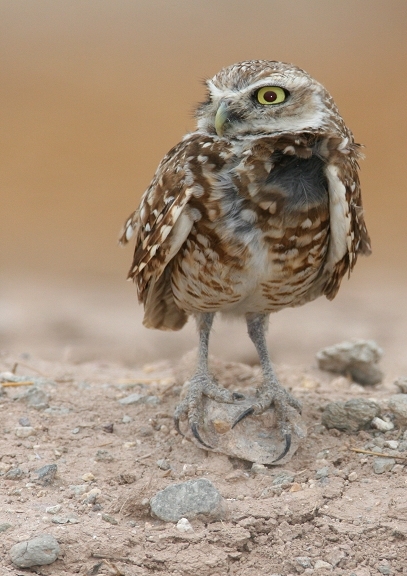 Below: A young Red-breasted Sapsucker near Big Bear (7/29/2006). 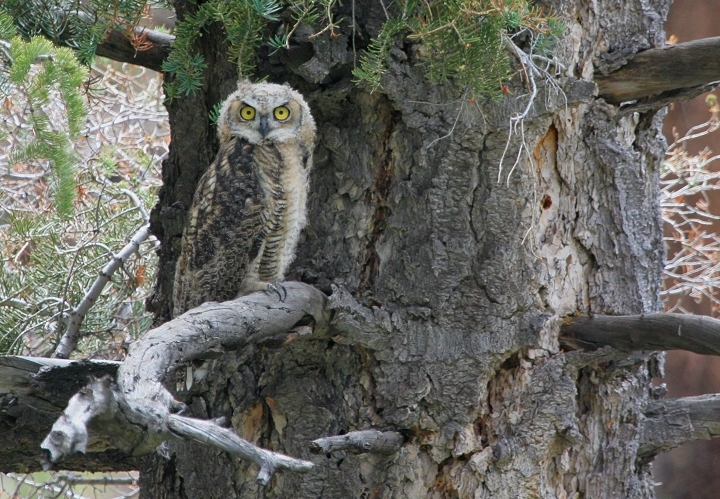 Below: We spotted this adorable fledged Great Horned Owl after one of its parents silently flew off nearby (wash near Big Bear, 7/29/2006). We were at an elevation over 8,000'. 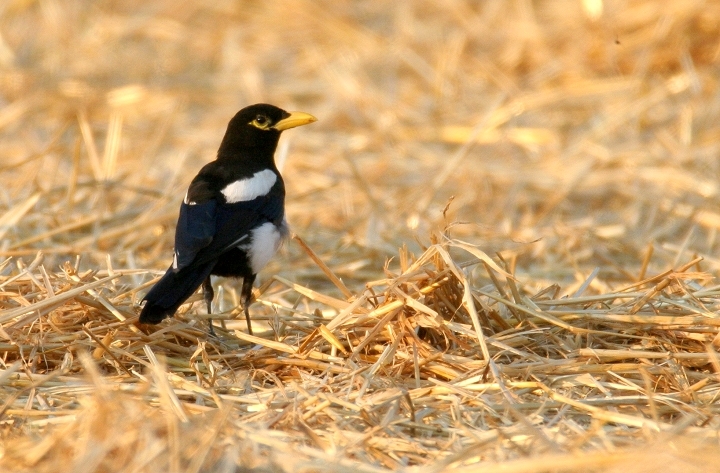 Comments: View a full list of species observed (text file). Thanks to everyone we visited for the great company and hospitality!